We are ready to kick off the summer season, and the fun starts on Memorial Day Weekend. We are celebrating with a big four-day patriotic festival in Granbury! 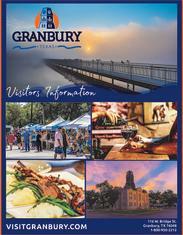 Book your accommodations at VisitGranbury.com! Here is a look at some of the weekend’s highlights. “These events show who we are as a community. We are very patriotic. We support our veterans---and support those who are currently serving." On Saturday, the 26th, the Historic Granbury Square celebration will be in full swing! There will be vendors on the Square from 9 a.m. to 6 p.m. selling arts, crafts, and food. Vintage military vehicles will also be on display. At 11 a.m., the Opening Ceremony begins on the main stage. At Noon, enter your little one into the Splash Into The Summer Patriotic Baby Contest. At 1:30 p.m., bring your appetite for the pie-eating contest. Competitive eating is an entertaining spectator sport. At 3 p.m., rock out to ZZ Top tribute band Trio Grande. Don’t forget to look for Granbury After Dark signs, because some of our favorite food and drink spots are open until 11 p.m. on Friday and Saturday nights. Things get started again on Sunday morning at 10 a.m., when vendors open on the Square. From 11 a.m. to 1 p.m., Michael Alexander and Jackie Moore will be singing gospel music on the main stage. At 1:30 p.m., we are having a hot dog eating contest on the main stage. From 3 p.m. to 5 p.m., the DW Blues Band takes the main stage. On Monday the 28th, Memorial Day, there will be a Memorial Day Opening Ceremony at 8:30 a.m. at Memorial Lane Park on Travis Street. There will be many dignitaries and local politicians speaking on this solemn day. The ceremony ends with a Remembrance Walk to the Square. At 10 a.m. on Monday, there will be a Memorial Day Veterans Ceremony on the Square’s main stage. This is presented by the local VFW post, the American Legion, and the City of Granbury. 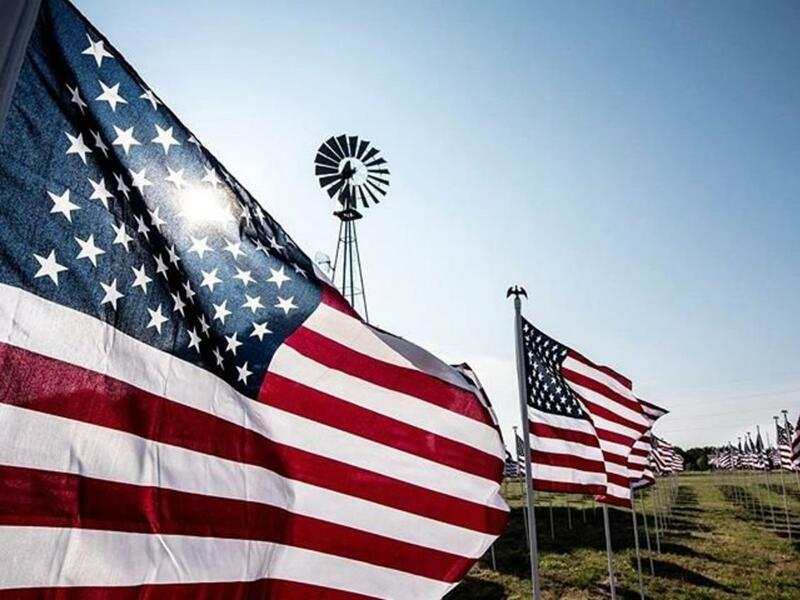 At 2 p.m., Jesse Overton takes the main stage and entertains the Square till 3 p.m.
We hope you can join us in Granbury for our patriotic Memorial Day weekend festivities!